– Ram Boolchand, leading Curaçao businessman and India’s Honorary Consul to the Dutch territories in the Caribbean. Boolchand Pessoomal Nandwani, one of the first Indian entrepreneurs to land in Curacao. Ram Boolchand’s grandfather was one of the first Indians to set up shop in Curaçao in 1930. Today Boolchand’s is a 4th generation retail empire with outposts across the Caribbean. A handful of Indian pioneers have proliferated into a thriving community of approximately 2,000 (1-2% of Curaçao’s population), owning 68 businesses in the Freezone, Punda and Otrobanda. Most were drawn by Curaçao’s economic boom in the 1970s, created by growing tourism as well as ample employment at the Shell refinery, and decided to stay and build their families a home. 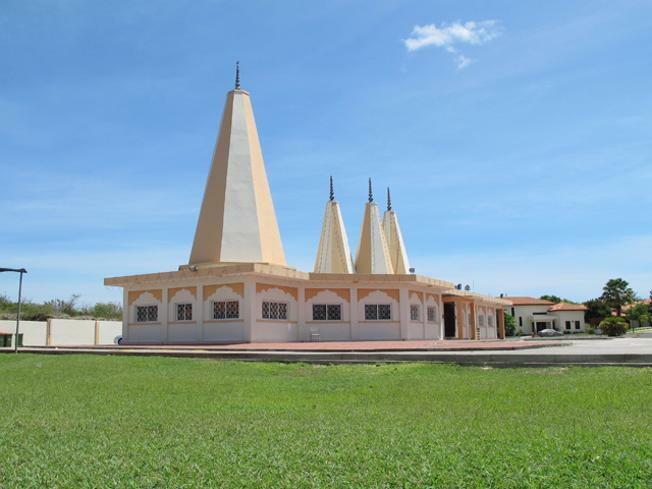 Today they contribute to Curaçao’s multi-ethnicity, consider themselves yu di Kòrsou, speak Papiamentu, worship in a beautiful Temple (completed in 2004), have access to a wide selection of Indian groceries and are even able to cremate their deceased loved ones. Interestingly enough, Curaçao’s Indian community is made up of Sindhi Hindus, born and bred Immigrants (with a capital I), descendants of 1947 Partition-era Hindu refugees from the former Indian province of Sindh (nowadays part of Pakistan). When India won independence from British colonial rule in August 1947, its land was partitioned based on religious demographics and two separate countries were created to accommodate religious differences: India (Hindu) and Pakistan (Muslim). But these similarities benefit from hindsight. Dada’s father, Ram’s grandfather, Boolchand Pessoomal Nandwani, left India to work in Panama in the early 1900s when he was 17 years old, “the work was very heavy, Panama City was a tourist center at the time, so if a ship comes in at night, my father had to open the store so that tourists can buy. It was all work, work, work. There was no respect for personal time. Father would go back and forth to India [a 3 month journey by boat] every 3-4 years and spend a few months with the family,” Dada recalls. After working in Panama for 30 years or so, Dada’s father had made enough money to start his own business. He had his eyes set on Guyana, where many Indians were settling at the time. But a business contact in Panama advised him to look into Curaçao — alluding to untapped opportunity. Curaçao suited Dada’s father, so he decided to stay and open Oriental Art Palace in Heerenstraat (Punda). Oriental Art Palace sold affordable imported Indian and Chinese goods (such as silk fabrics and souvenirs) — all new to Curaçao’s market — so his business prospered. A 38 year old Dada, who had been living and working in Pune (India), picked up where his father had left off in Curaçao after he passed away in 1950. Dada has served as India’s Honorary Consul, nurturing ties between India and Curaçao, helping Indian entrepreneurs build a home in Curaçao, adding to Curaçao’s multi-ethnic society and stimulating Curaçao’s economy,… all while adapting Boolchand’s retail selection several times to respond to market needs: from Indian and Chinese silks (1930-50s), (under)garments (1950-60s), Marks & Spencer apparel (1970s), ‘Bye Bye’ brand t-shirts (1990s),… to the latest in Apple, Sony and Samsung electronics (1970s-present)…. to comfy Crocs (2013)! 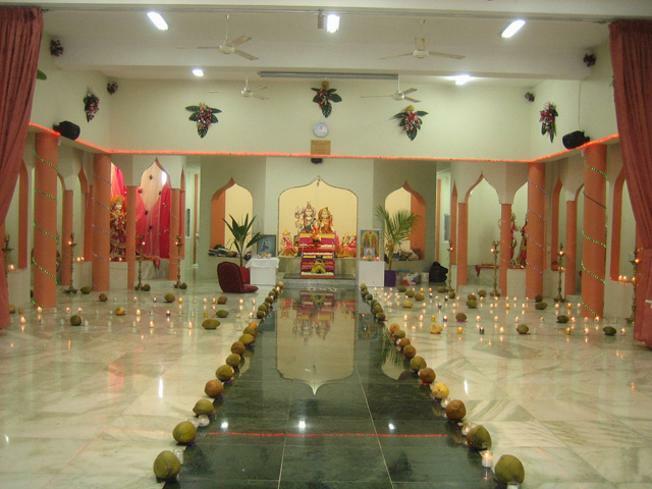 Curacao’s Hindu Temple was built in 2004.